The house in Brixton where van Gogh lived is open to visitors as part of the Artangel commission by Saskia Olde Wolbers who has an audio installation there, "Yes These are the Windows"
Artangel has introduced "Van Gogh Walk," a free audio walk that re-imagines the emotional landscape of Vincent Van Gogh's London. This collaboration with CoolTan Arts is inspired by the writings of van Gogh and CoolTan artists, and has been developed to be listened to anywhere in the world, but the content was developed in the area surrounding 87 Hackford Road in London where Vincent van Gogh lived from 1873 to 1984. This period can be seen as a turning point in the artist's life as it was during this year that he first experienced a period of depression, lost his job and began to seek out a new identity. "At the Crossroads with Vincent" is available to download from today. Even with the first few minutes, you are immediately taken into a calming state by a soothing voice that encourages you to be aware of your surroundings. Look forward to trying it outdoors on a walk! 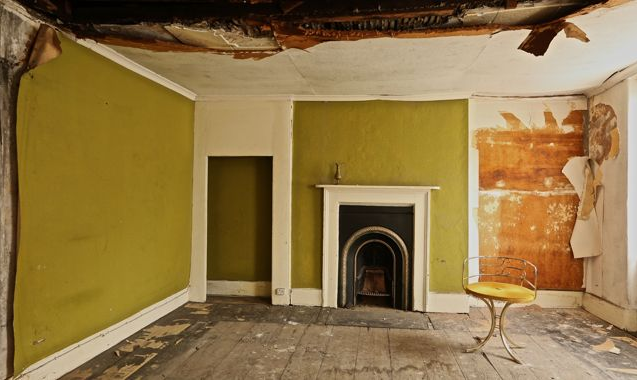 Artangel is to open a Georgian terraced house in Brixton where it is believed Vincent van Goghlived from 1873 to 1874. It will host Yes, These Eyes are the Windows, an audio installation by artist Saskia Olde Wolbers that will open on May 3. It has also inspired a “Van Gogh Walk,” At the Crossroads with Vincent, by R.M. Sanchez-Camus, Isa Suarez and Cooltan Arts which will commence on May 17. The house on 87 Hackford Road has stood empty since 2012. The last residents moved there in 1950, and in the 1970s a local postman claimed that Van Gogh, then a 19-year-old gallery assistant, had stayed in the house. It is widely believed that Van Gogh suffered from bi-polar disorder, delusions and epilepsy. According to letters written by the artist during his time in Brixton, he experienced his first depression while living at Hackford Road. However it was not only the life of Van Gogh that drew in Olde Wolbers, but also the public attention the house has since gathered. She told ARTINFO UK: “I wasn’t only interested in Van Gogh, but also in the way the fact that he lived there is celebrated, how the house itself is venerated, and how blue plaques make houses into biographers of historical characters. Saskia Olde Wolbers, “Yes, These Eyes Are the Windows,” 87 Hackford Road, London SW9 0RE, 3 May to 22 June.R.M. Sanchez-Camus with Isa Suarez and Cooltan Arts, “At the Crossroads with Vincent: a Van Gogh Walk,” ongoing from 17 May.